SUPPORT TICKETS TO YOUR CLIENTS AND YOUR VISITORS! 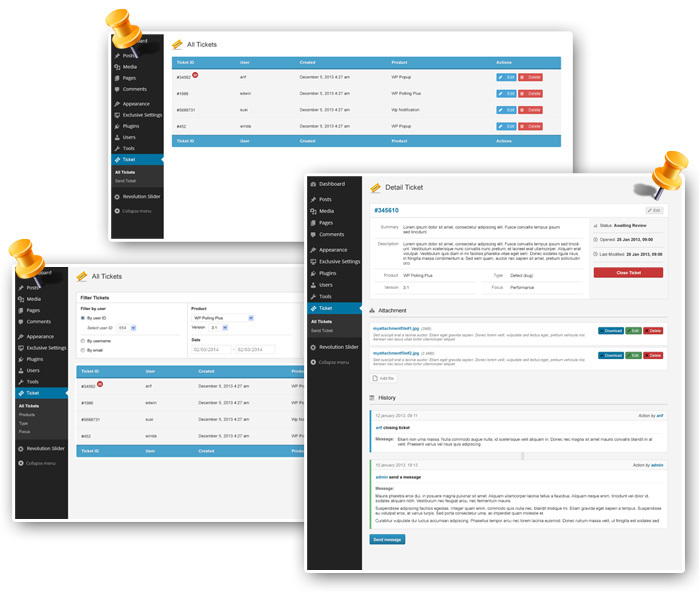 Subject: The Definitive Ticketing WP Plugin That Will Make Your Life Easier. As an online seller myself, I truly understand that responding to your clients' questions, concerns or suggestions is critical to success. If you're offering any type of service or selling any sort of product online, you agree with this. But unfortunately, some online marketers or vendors didn't get this important concept that can mean complete success in their online business or the absolute and most humiliating failure. If you're able to achieve this, then your customers will see you as a true professional and won't doubt doing business with you in the future. That can only mean one thing: MORE profit for you. If you look all over the place, you'll find some ticketing software that's outrageously expensive. ...and if you're on a budget like most aspiring entrepreneurs nowadays, then it can surely be a problem. Of course, you can also find some ticketing/support softwarechoices that are offered for free, but they're absolutely TERRIBLE. What if you have several potential customers that are highly interested in your products or services, and their questions never reach your inbox? Well, you just lost MONEY. Over the last few months, I've been intensively working hand-in-hand with a brilliant WordPress coder, and we've come up with a support plugin that's going to literally revolutionize the market. 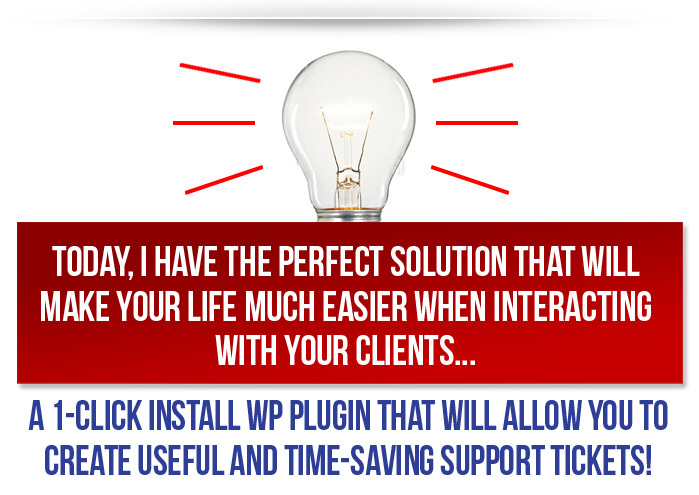 The WP plugin that I'm about to offer you is so SIMPLE to use yet so POWERFUL that you will never need another crappy and expensive ticketing software ever again. It's time to offer your clients the kind of attention they deserve, by offering support tickets. This way, you will organize in an efficient and practical manner all incoming queries, questions or concerns. 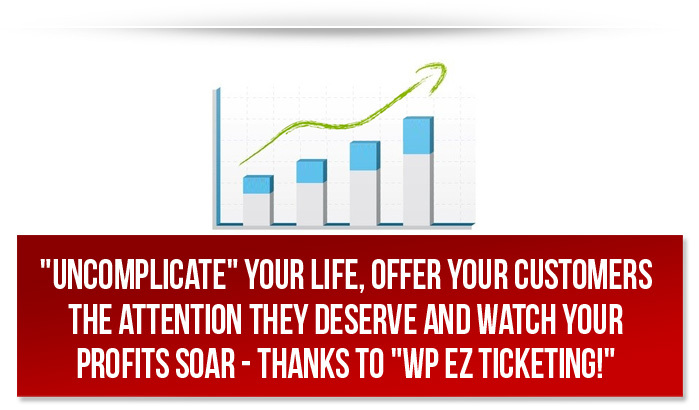 "Tiger WP EZ Ticketing" will allow you to accomplish just that. Your visitors, users and guests can quickly and painlessly create a support ticket. They can also easily track it and reply to it if they need. Pure convenience to them! The WP plugin will immediately send an email notification for both:when a new ticket submission occurs (for both admin and users) and also when there's any type of update. "Tiger WP EZ Ticketing" contains something that most ticketing software out there never offer: Priority, status, type and product keys selection for each ticket! Listen, I believe that the choice today is much more than evident. I'm offering you the same tool that I use in my business every day, and that allows me to save time, make my clients happy and increase my profits. And most importantly, at a price that is a steal. I'm almost giving this plugin away. It cost me much more money to get this plugin developed, and you have now the chance to download it for pennies on the dollar. PS.All the risk is on me - I kindly offer a money-back guarantee that will let you try my exclusive plugin and see how effective it is. In the unlikely event that you are not 100% happy with your purchase, I will refund your money. As simple as that! 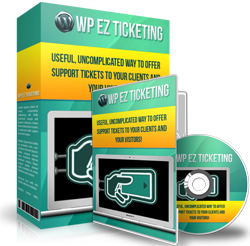 Tiger WP EZ Ticketing Lite version you will be able to use and test many premium features of the plugin.